Starry Night by Van Gogh is one famous piece of art. If you ask most people today to identify a famous painter, many of them will give you the name of the Dutch artist Vincent Van Gogh, most famous for his landscape painting Starry Night (1889). While Starry Night is one of the best known and most reproduced pieces of art in the world today, most people can’t really tell you why, or explain the meaning behind the painting. What is the meaning of Vincent Van Gogh’s masterpiece painting Starry Night? Just as most people can tell you that Vincent Van Gogh was a famous Impressionist artist who painted Starry Night, many people also have heard about how Van Gogh was “crazy” and suffered with mental health issues throughout his life. The story of Van Gogh cutting off his ear after a fight with his friend, the French artist Paul Gauguin, is one of the most popular anecdotes in art history, and supposedly occurred in winter 1888, the year before the painting of Starry Night and not long before Van Gogh’s death in 1890. Keeping with his reputation as a crazy artist, Van Gogh was committed to a mental health asylum in Arles after the ear incident with Gauguin. History has it that Van Gogh painted Starry Night while in the mental hospital, and that the landscape in the painting is the view Van Gogh had from his window. Does Van Gogh’s mental illness contribute anything else to the meaning of Starry Night? Sadly, it wasn’t only those who heard about Van Gogh cutting off his ear who thought the painter was insane. Art critics at the time, those who had a big say in making and breaking the careers of artists, were also convinced that Van Gogh’s signature style, characterized by bright and heavy brushstrokes, was sloppy, crude and childish–evidence that the artist was crazy and not as good as the more photographic and realistic paintings done by some of his contemporaries. While other painters working in the mid-nineteenth century were mostly interested in painting landscapes and portraits that looked like photographs, Van Gogh used his exaggerated and expressive brushstrokes to visualize the way he felt inside and reveal his personal impressions of whatever subject he happened to paint. While paintings like Starry Night were obviously far ahead of their time and paved the way for Expressionism, one of the big artistic movements of the early twentieth century, the art of Van Gogh was largely unappreciated during his own life and in his own society. The feelings of isolation Van Gogh must have experienced as a struggling and unappreciated artist before and after he entered the asylum are visible in Starry Night and literally color the overall meaning of the painting. But there is more to the meaning of Vincent Van Gogh’s Starry Night than just insanity and isolation. Perhaps the real reason why the Van Gogh painting is so famous and appreciated today is not due to the negative emotions that may have initially inspired the artwork, but the strong feelings of hope Van Gogh conveys through the bright lights of the stars shining down over the dark landscape at night. In 1888, Van Gogh wrote a personal letter in which he described “a great starlit vault of heaven…one can only call God.” With a theologian for an uncle, Van Gogh himself was also religious, even serving as a missionary in his younger days. Many art scholars believe there is a hidden religious meaning to Starry Night. In the painting, the moon and stars in the night sky are surrounded by large halos of light while a church steeple stands out above the smaller, less detailed buildings in the town below. In fact, some art critics find a biblical meaning in the number of stars painted in Starry Night that alludes to specific Bible verse in Genesis. If the 11 stars symbolize Van Gogh’s critics, where is Vincent Van Gogh in Starry Night? While that is uncertain, it is possible that Van Gogh identifies himself with the looming cypress tree in the foreground of the painting, a plant that, like daffodils, recurs in several of his paintings, including Wheat Field with Cypresses, also painted in 1889. The large cypress in Starry Night is arguably the most eye-catching but at the same time ambiguous “thing” in the painting, mostly because of its size and the way its dark and almost sinister presence contrasts so heavily with the brightly colored stars and luminescent shapes and strokes in the night sky. As Starry Night was painted during a sad period in Van Gogh’s life, it would not be surprising that the depressed artist identified with this almost scary and uncanny cypress tree, sometimes mistaken as a castle, ziggurat or building of some kind. Van Gogh’s art could be aptly symbolized by the strange and off-putting cypress, especially if those who prefer “beautiful” and realistic art are represented by the bright stars in the sky. Is there any other meaning behind these eleven stars? While it’s easy to understand how Van Gogh could relate to the story of an outcast and a dreamer who didn’t experience a lot of luck early on in life, there might be more than just religious sentiment in Van Gogh’s reference to this Bible verse. In Genesis 37:9, Joseph in a sense tells his brothers/detractors about his dream to let them know that he believed that one day the tables would turn. Van Gogh also might have intended Starry Night to work as a personal statement concerning his own poor critical reception as an artist. Although we cannot know what Van Gogh originally intended, it may be that the artist referenced Genesis 37:9 in hopes that he too would receive recognition and respect for his work later on, just as Joseph did in the Bible after a difficult early life. Although he died before he could see it for himself, Van Gogh would probably be very pleased with the widespread fame and recognition his art now enjoys today. It is fitting that, in a strange sense, Starry Night has more meaning today than it did when it was first painted in 1889. There is an oddly prophetic meaning to Starry Nightthat Van Gogh could never have known to come true. Beyond just the fact that the artist truly did receive respect later on–in Van Gogh’s case, posthumously–Starry Night‘s connection, intended or otherwise, to the concept of the “dream,” particularly through the reference to the Genesis 37:9 verse, also seems to foreshadow the art of Surrealists like Salvador Dali who tried to capture what it’s like to be dreaming through their art. While Van Gogh died a poor and disrespected artist, he is now one of the most famous and reproduced painters today, as many people have poster reproductions of his art in their homes. 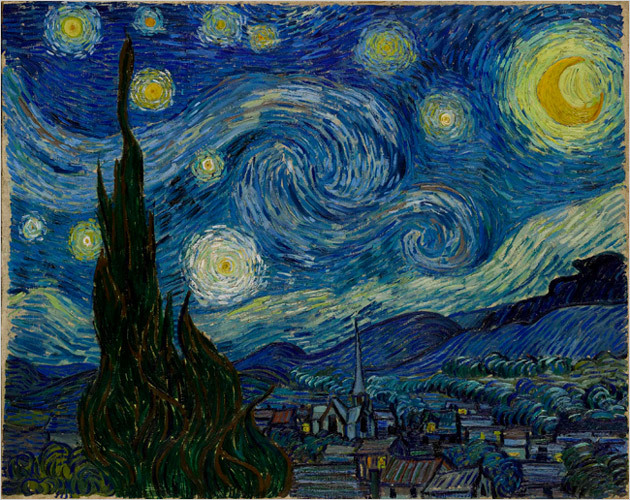 More than just a piece of art, Starry Night has also been honored in the song lyrics to “Vincent (Starry, Starry Night)” by Don McLean. Is it just a coincidence that Van Gogh’s Starry Night also influenced the dream sequences in DreamWork’s animated adaptation of the Joseph story, King of Dreams?